THIERRY Neuville took a dramatic surprise win at Corsica Linea-Tour de Corse in France on Sunday afternoon after Elfyn Evans suffered a final-stage heartbreak. Neuville was en route to the podiu..
KRIS Meeke claimed his third shakedown victory of the season in Thursday’s warm-up at Corsica Linea - Tour de Corse. The Briton was quickest through the 5.39km Sorbo Ocagnano test by 0.9sec from..
AFTER winning two of the first three FIA World Rally Championship rounds this season Frenchman Sébastien Ogier starts this weekend’s Corsica linea - Tour de Corse confident he can maintain vital mo.. 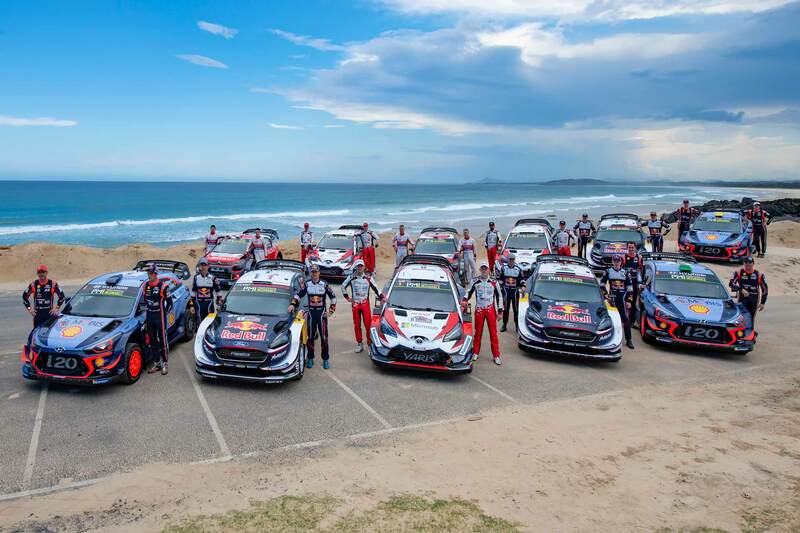 The 2018 WRC season was the most exciting and dramatic in a generation. A compelling season-long battle between three drivers was finally resolved on the last morning of the season at Kennards Hire..
SÉBASTIEN Ogier claimed his fifth Rally Guanajuato Mexico victory on Sunday afternoon to eat into Ott Tänak’s early season FIA World Rally Championship advantage. Ogier never relinquished the le..
SÉBASTIEN Ogier remained on course for a fifth Rally Guanajuato Mexico victory after recovering the lead following a mad morning in the mountains on Saturday. The Citroën C3 driver ended the pen..
SÉBASTIEN Ogier kept cool in the sweltering heat to lead Rally Guanajuato Mexico after an incident-filled opening leg on Friday. The world champion headed Elfyn Evans by 14.8sec after a tough da..
RALLY Guanajuato Mexico’s opening speed test through the streets of Guanajuato was halted on Thursday night (local time) for safety reasons after a jump ramp shortly before the finish became damage..
ESAPEKKA Lappi will take a lead of just 0.1 seconds into the first full day of competition at Rally Guanajuato Mexico on Friday after topping the field in Thursday night’s opening city stage in Gua..
THIERRY Neuville took a dramatic surprise win at Corsica Linea-Tour de Corse in France on Sunday afternoon after Elfyn Evans suffered a final-stage..
WRC – THE FACTS BEHIND THE WORLD’S MOST EXCITIN..
2018 RALLY AUSTRALIA SHOWDOWN RANKED 3# IN WRC .. Discover the spectacular natural attractions and diversity of things to see and do across the Coffs Coast with our Daytripping Guide. From harbour to hinterland, we’ve rounded up some of our favourite ‘play, taste and explore’ experiences as you travel around the region for the Rally. These itineraries will take you from the vibrant coastal city of Coffs Harbour, to the spectacular vistas of the Southern and Northern Beaches, through lush farmland and forests of the Western Hinterland, to the beautiful Bellingen plateau and highlands of Dorrigo.